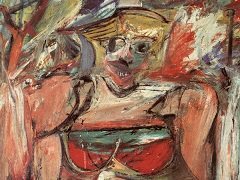 Willem de Kooning began working on Two Women with Still Life in Southampton, New York, where he was staying for the summer. 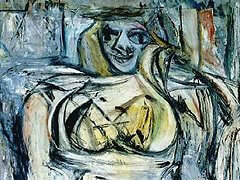 During the previous two years, he was consumed with the creation of a large painting of a woman, Woman I (1950 - 52). 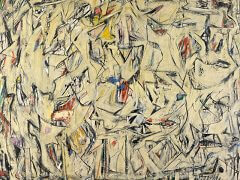 Although away from his New York City studio, he was likely still grappling with that painting. His expressive use of pastels ran counter to the traditional technique of applying the darkest pigments first, then layering lighter pigments to build forms and create highlights. 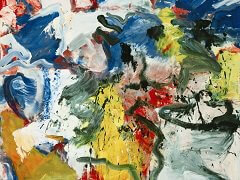 Here, he applied dark and light colors exuberantly, with no attention to hierarchy of tone. 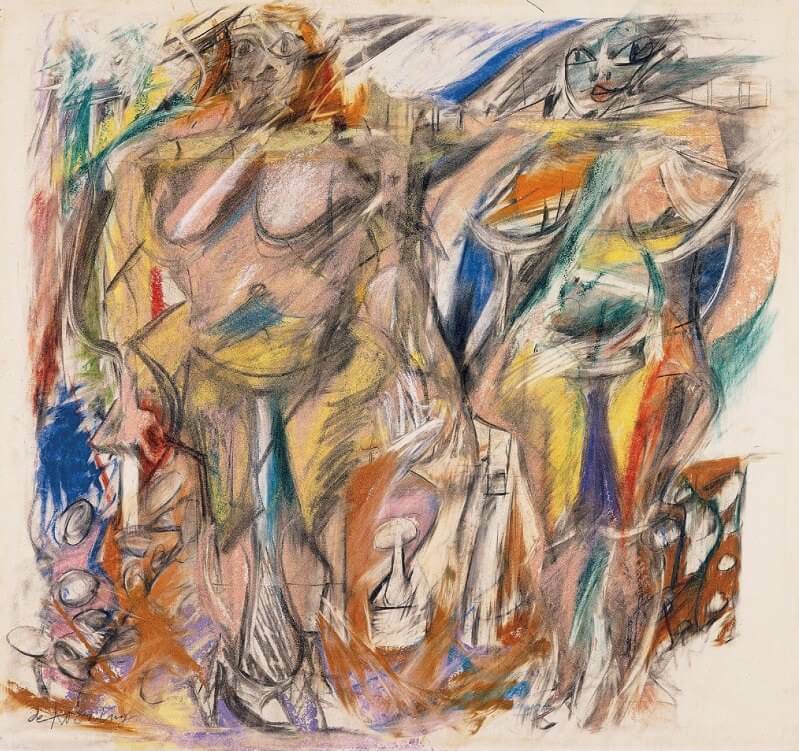 When shown in a 1953 exhibition in New York, this work and related paintings and drawings were considered sensational for their rendering of women in garish colors and aggressive frenetic lines. 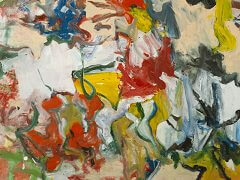 A first-generation Abstract Expressionist, Willem de Kooning is one of the most important artists of the 20th century. 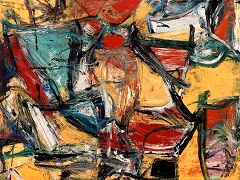 In 1950s New York, when painters like Jackson Pollock and Mark Rothko were moving away from representational imagery toward pure abstraction, de Kooning maintained a commitment to the figurative tradition, developing a signature style that fused vivid color and aggressive paint handling with deconstructed images of the female form - a then-controversial body of works that has become known as his "Women" paintings. "Flesh was the reason oil paint was invented," he famously said. 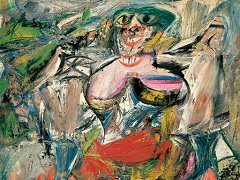 Influenced by Arshile Gorky and Pablo Picasso, de Kooning was often thought to have blended Cubism, Expressionism, and Surrealism in his signature style, paving the way for generations of gestural figurative painters like Cecily Brown. 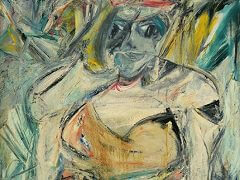 Following his "Women" series, de Kooning pursued non-objective lyrical abstraction until his death in 1997.